Just 2 minutes spent each day flossing can help prevent gum disease, tooth decay and bad breath. 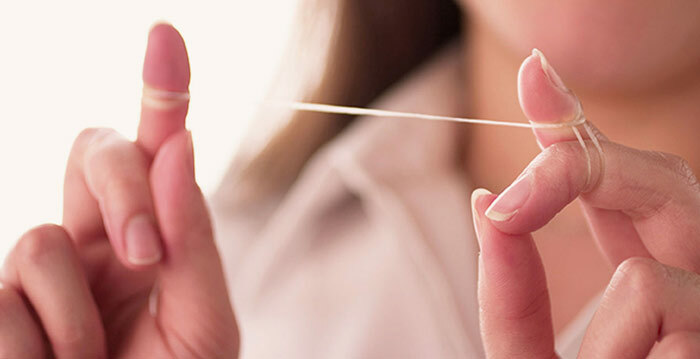 Flossing should be an essential part of your oral care routine and not an optional extra. You can floss any time during the day. If you like to go to bed with a clean mouth then floss before your nightly brush. If you have kids, they should begin flossing as soon as they have two teeth in contact. You should help them until they are about the eight years old as they won’t have the dexterity to floss properly. Keeping the thumb and index close together, gently guide the floss between the teeth, taking care not to cut or damage your gums with abrupt movement. You should use a side-to-side motion to ensure the sides of both teeth are cleaned equally. To clean the “neck” of the tooth, which is the point where it meets the gums, curl the floss and insert it gently under the gum.